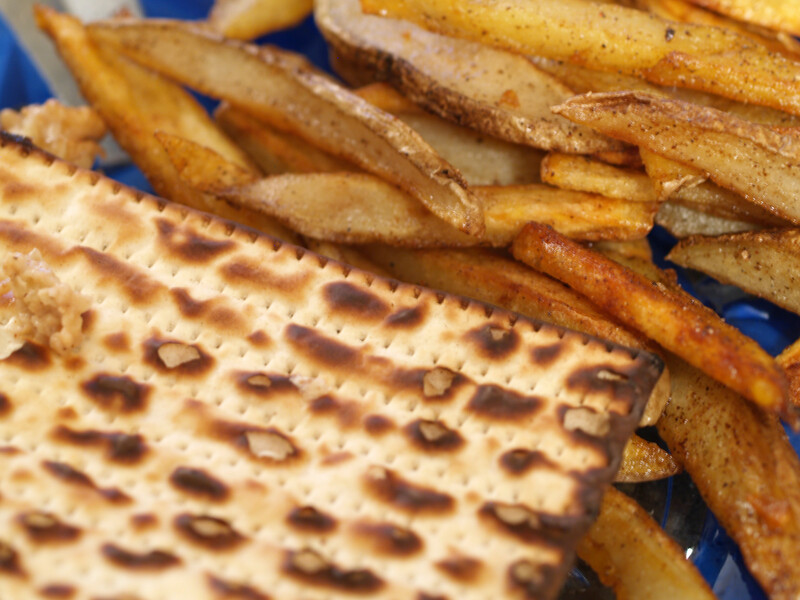 With the Passover holiday continuing, tonight, I replaced “normal bread” with our lovely friend matzoh. Even with having to eat it for 8 days straight every year, it is starting to grow on me. 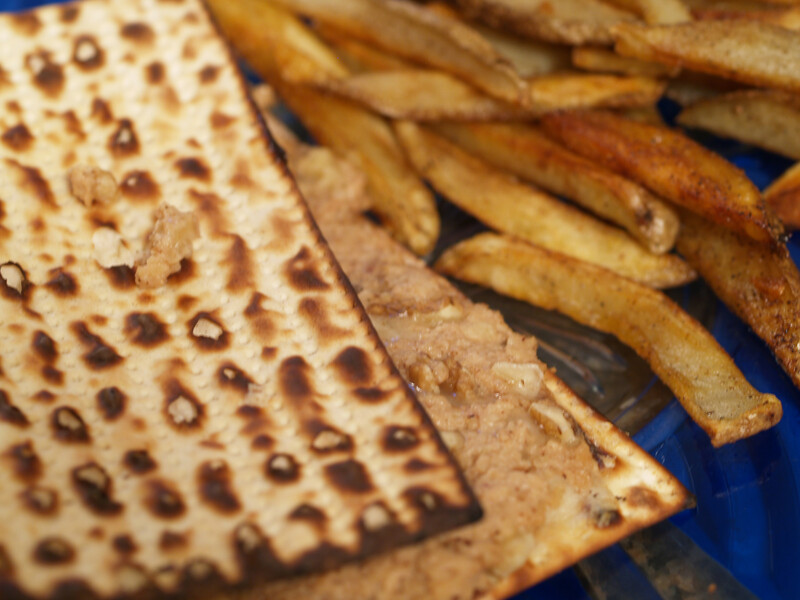 It seems that most Jews dread this holiday simply because of the lack of food options, but it hasn’t bothered me in awhile. Plus tonight’s grilled cheese added a nice challenge that I was willing to face head on, especially when charoset is included. Starting this week, before writing about the actual grilled cheese, I am going to discuss the cheese of the night. While eating the past 10 sandwiches (yes, 10 sandwiches), I felt like I was learning more about the bread than the cheese. With the help of ILoveCheese.co.uk, (yes, that is a real web site), I will educate both you and me about the featured cheese. As I created tonight’s grilled cheese, I obviously tried to stick with the Passover theme. The spread/filling of the grilled cheese is a play on charoset, which my mom’s recipe includes for apples, walnuts, cinnamon and red wine mixed together. She makes it chunky but it appears that it can be more of a paste. In my creation, we used a white wine, but only as a liquid, and blended the charoset mixture until it was very fine. I placed this charoset spread on top of the matzoh and Brie cheese. 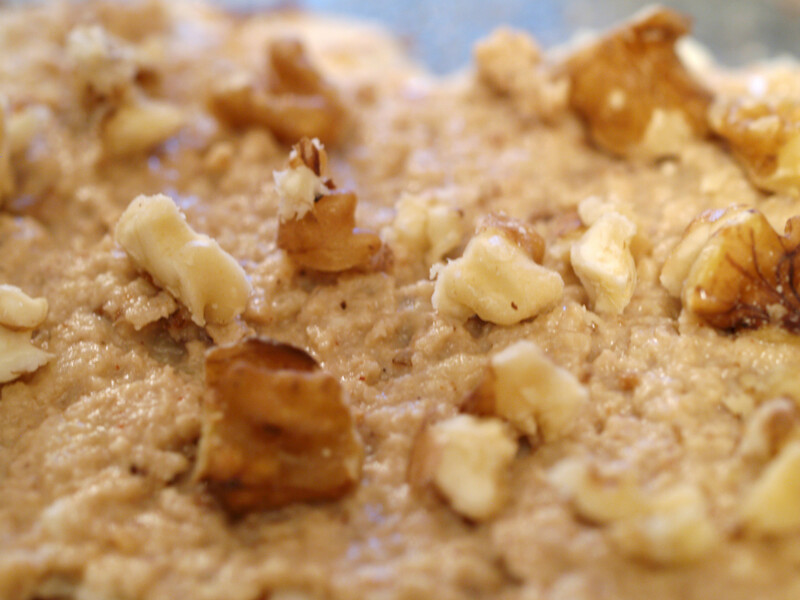 Then I added some larger chunks of walnuts, put the top piece of matzoh on and placed it in the oven. It was as simple as that. On the surface, I was excited. The Brie cheese was fantastic and so was the charoset mixture. However, something got lost in translation as the grilled cheese was put together and cooked. I did create it twice and in the second version, I added more cheese and cooked it a little while longer but I was still somewhat “eh” to it. On the other hand, my father thought it was great and ate the whole grilled cheese. In my first version, when I could taste the brie, the sandwich was out of this world, however, I didn’t taste the walnuts too much. Plus, I believe the charoset mixture needed something but I can’t put my finger on exactly what was missing. 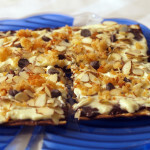 Then there is the matzoh, which is just a cracker that has no leavening agent in it. Unfortunately, this grilled cheese and matzoh in general, is not very photogenic so I apologize for the lack of sandwich creation photos. If my dad were writing this review, there would definitely be a different slant, a more positive vibe. However he is not, and therefore there is a little hesitation in my “voice.” It was a great try and if there were a few more tweaks, I believe this Passover grilled cheese could have been great. There was just something missing in the charoset and the Brie was not as powerful as I had hoped. 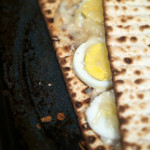 Posted in Grilled Cheese and tagged apple, B, baked, brie, matzoh, passover, walnuts, white wine. Just musing about this, I’d probably consider using more brie after seeing you felt like you didn’t have enough. Also, I usually use mogen david red wine, because it really adds a lot of sweetness that most white wines don’t bring, even against the apples. The other thing I’d maybe consider is some raspberry or strawberry jam, just a thin spread to add some colour. Also I’m thinking about the fact that when you make baked brie, you usually add some jam, so it probably goes well together in this as well. Either way, your photography is wonderful as usual, and I’m thrilled for you that you are getting so many hits lately. I’m so glad I found your blog, you have such great ideas! I admit, I’ve actually had Brie, walnuts and apples for dinner. But, I’ve never had charoset. Do you prefer it with the red wine, or white? I feel like white would be a better fit, but it’s hard to tell. 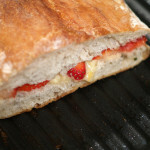 I’d like to try the brie and charoset on top of homemade foccacia. Great post, can’t week to see what you make next week! @ Dan: Your mind is very similar to mine as all of your comments crossed my mind at one point or another. 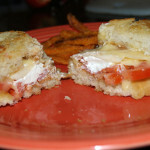 On the second half of my sandwich, I did add more Brie, but I think I let it cook too long so it all melted too much. It was actually worse than the first half. Normally, my mom makes charoset with red wine, but I wanted to try something different with the white wine, plus we had some left. I am not sure it really worked out the way I wanted. Thanks for your compliments! Although my hits have come down lately, I am still having fun! @ Allison: I am glad you have returned! Nice to see you back. 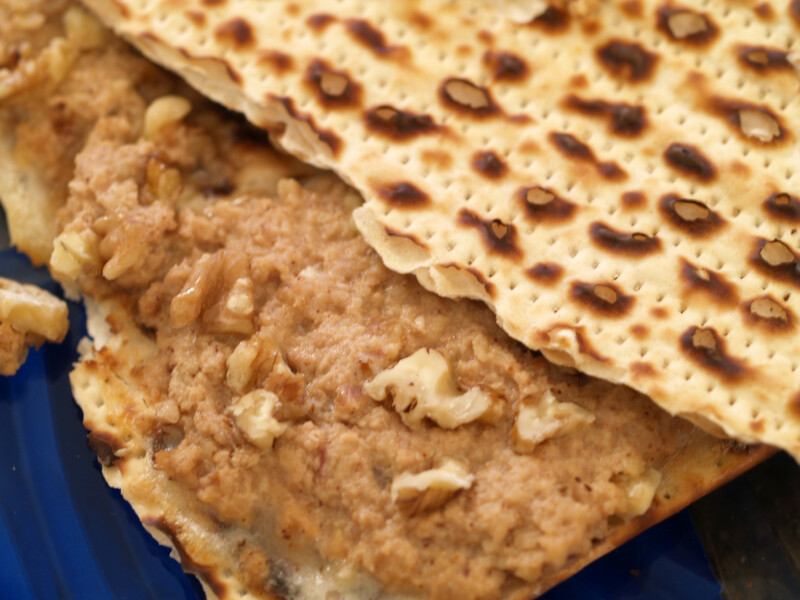 Although charoset is more of a Passover thing than anything, you should definitely try it. The charoset + brie + foccacia would probably be very yummy! As Dan suggested, I think the red does work better with mixture and probably would have added something to the sandwich. See ya next week! 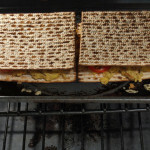 Hey, just found your blog on foodgawker, and as I’m enduring the breadless passover as well, i was curious to see what a passover grilled cheese would look like. i wanted to suggest that you add some orange or lemon zest and a pinch of nutmeg to your charoset, and while i’ve never tried charoset with white wine, i’m inclined to think that traditional is the way to go here. my mom always added lemon or orange zest and nutmeg, and the citrusy hints would help to cut through some of the creaminess and richness of the melted brie. also, what about some nice apple slices for a texture contrast, or just a chunkier charoset?